Triple lot on un-paved road. Come and build a new home or bring in a new mobile home to this extra large lot. This triple large lot allows plenty of room for a garden, animals, storage, parking, etc. 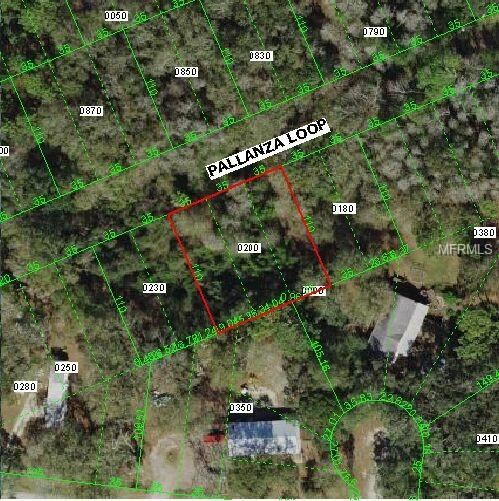 Located in Moon Lake Estates with easy access to State Road 52 and the SunCoast Express Way. Close to shopping, hospital, churches, grocery stores and Gulf Beaches. The approximate monthly Principal & Interest payment for this property would be $50. This payment is based on a 30-year loan at a fixed rate of 4.12 % with a down payment of $950. Actual lender interest rates and loan programs may vary.